Last year, we started receiving invitations to bring Family Constellation work to communities outside Boston and our travel team was born. We bring an experienced group to introduce this work in places where it is much needed and people don’t have the means to access it. When trauma repeats through generations it can become normalized. We can help groups explore Family Constellations as an agent for change, unraveling the underlying dynamics that lead to ongoing personal or organizational struggles. We desire to bring this work to people for which trauma has repeated through the generations, be it through violence, poverty, suicide or other painful patterns. Constellation work can help us understand and integrate such patterns, so they don’t need to keep repeating. If you have an interested group of six people or more, we will come to you. If you work in an agency or another setting where Family Constellation workshops could be of service, we are happy to offer you an introductory workshop, supervision, and training in this powerful method. You may also host a gathering to learn about and practice Breathwork in your community. All you need is a minimum of six people and a meeting space. Breathwork is an active form of meditation that clears the body and emotions and helps us re-focus on what is joyous in life. 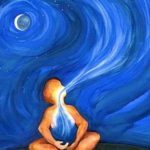 Samvedam Randles, director at the Inner Arts Institute, introduces the main principles of Breathwork and then leads participants in experiencing the work directly. If you would like to host an event, please contact Samvedam with your questions. We look forward to working with you! Samvedam became a breathwork facilitator in 1993 and for six years served as a trainer of at the International Breathwork Institute in Boulder, Colorado. She has trained facilitators in Boston and across New England since 2003. Samvedam was among the first psychologists in the United States to be certified in Family Constellations work, the powerful transformational method pioneered by German psychologist Bert Hellinger. A graduate of the Hellinger Institute, Samvedam has studied with renowned teachers including Bert Hellinger himself, Hunter Beaumont, Gunthard Weber and Stephan Hausner. Samvedam introduced Family Constellations in the Boston area in 2002.